The Sarasota County Sheriff’s Office is reminding citizens to celebrate safely this New Year’s Eve. Sheriff’s office DUI and traffic units are conducting traffic saturations in conjunction with the national ‘Drive Sober or Get Pulled Over’ campaign, to deter drunk driving. Anyone planning to attend a party should designate a sober driver ahead of time, keep the number of a local cab company handy or avoid alcohol altogether. Arrange ride-sharing with sober drivers and take the keys away from anyone who is thinking of driving while impaired. - Always park in well-lit areas for your safety. - Have a pre-planned meeting place in case you are separated from your group. - Be aware of your surroundings and avoid groups of people who appear to be loitering in parking lots. - If you plan to consume alcohol, never leave your drink unattended. - Avoid leaving valuable items in plain sight in a vehicle. - Have a cell phone available to call for help if needed. Parents who plan to bring children to a crowded event should place an identification card in their pocket with the child’s name and contact telephone numbers. Teach them to go to the nearest law enforcement officer if they become separated or to dial 911 (if the child has a cell phone). 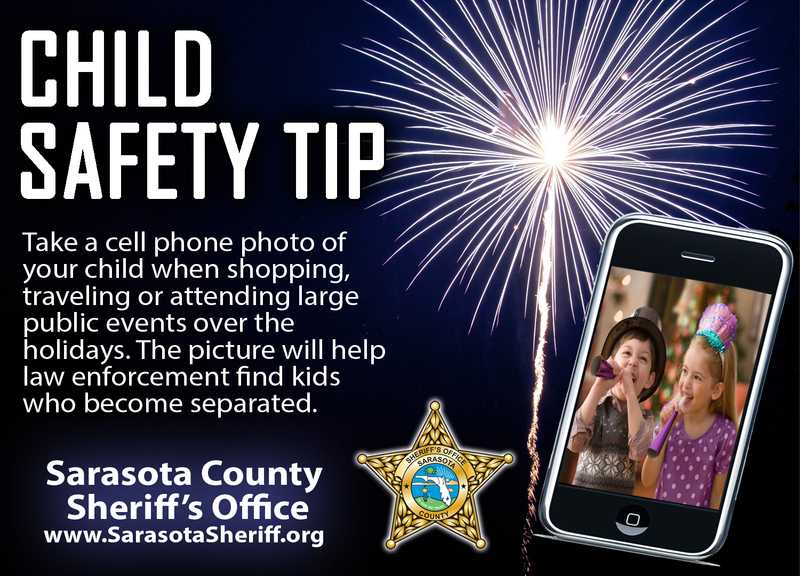 Parents are also encouraged to take a cell phone photo of children before they arrive at their destination. This photo will help law enforcement locate children if they become separated. Most importantly, have fun and have a Happy New Year!